Anna Stacey Udelhoven was born circa 1878 at Wisconsin. She was the daughter of Nickolas Udelhoven and Elizabeth Dienhart. [S246] U.S. Federal Census 1880 U.S. Federal Census, by Ancestry.com, NA Film Number T9-1427 Page Number 352C. Name Variation Durwood R. Chaffee was also known as D. R.
Name Variation Durwood R. Chaffee was also known as D.
Durwood R. Chaffee was born on 9 November 1901 at Little River, Rice, Kansas. He was the son of Milo Joseph Chaffee and Sarah Hannah Case. Durwood R. Chaffee married Helen Evelyn Marie Schlickau, daughter of George Hans Schlieckau and Clara Rathke, circa 1929. Durwood R. Chaffee died on 29 December 1981 at Hutchinson, Reno, Kansas, at age 80. Durwood R. Chaffee obtained US Social Security Card at Kansas; last residence Hutchinson, Reno, Kansas. [S250] U.S. Federal Census 1930 U.S. Federal Census, by Ancestry.com, ED78-24. Dwelling 327. Name Variation Charles Rathke was also known as Carl. Charles Rathke married Fredericka (?). Charles Rathke was born circa 1811 at Mecklenburg, Prussia, also reported about 1815. [S247] U.S. Federal Census 1870 U.S. Federal Census, by Ancestry.com, Page 36. Dwelling 277. [S246] U.S. Federal Census 1880 U.S. Federal Census, by Ancestry.com, NA Film Number T9-0394 Page Number 558B. Married Name Her married name was Rathke. Fredericka (?) married Charles Rathke. Fredericka (?) was born on 2 November 1827 at Sieden-Bolletin, Prussia. Paul Rathke was born circa 1847 at Mecklenburg, Prussia. He was the son of Charles Rathke and Fredericka (?). Name Variation Rosina Rathke was also known as Rose. Rosina Rathke was born circa 1859 at Illinois. She was the daughter of Charles Rathke and Fredericka (?). Henry Rathke was born circa 1867 at Illinois. Name Variation William Schlickau was also known as Willie. William Schlickau died on 13 March 1890 at Haven, Reno, Kansas, stillborn. He was born on 13 March 1890 at Haven, Reno, Kansas. He was the son of George Hans Schlieckau and Clara Rathke. Name Variation Hans Wittorff was also known as H.
Hans Wittorff was born on 8 September 1850 at Germany. He married Anna Catherine Bornholdt on 26 October 1882 at Inman, McPherson, Kansas. Hans Wittorff died on 13 December 1937 at Inman, McPherson, Kansas, at age 87. [S246] U.S. Federal Census 1880 U.S. Federal Census, by Ancestry.com, NA Film Number T9-0387 Page Number 393A. [S243] U.S. Federal Census 1920 U.S. Federal Census, by Ancestry.com, ED90. Dwelling 7. [S250] U.S. Federal Census 1930 U.S. Federal Census, by Ancestry.com, ED57-33. Dwelling 12. Name Variation Anna Catherine Bornholdt was also known as Kate. Name Variation Anna Catherine Bornholdt was also known as Catherina. Name Variation Anna Catherine Bornholdt was also known as Bornholt. Name Variation Anna Catherine Bornholdt was also known as Katie. Married Name 26 October 1882 As of 26 October 1882,her married name was Wittorff. Anna Catherine Bornholdt was born on 8 October 1860 at Germany. She married Hans Wittorff on 26 October 1882 at Inman, McPherson, Kansas. Anna Catherine Bornholdt died on 30 December 1940 at Haven, Reno, Kansas, at age 80. [S246] U.S. Federal Census 1880 U.S. Federal Census, by Ancestry.com, NA Film Number T9-0394 Page Number 511D. Norman John Mellies was born on 2 May 1912 at Ellinwood, Kansas. He married Mildred Erma Ruth Schlickau, daughter of Albert Rudolph Schlickau and Florence Elizabeth Wittorf, on 26 November 1936 at Manhattan, Kansas. Norman John Mellies died on 4 March 1968 at Edmond, Oklahoma, at age 55. John Howard Mellies was born on 24 October 1941 at Oklahoma City, Oklahoma. He was the son of Norman John Mellies and Mildred Erma Ruth Schlickau. John Howard Mellies died on 7 February 1983 at Edmond, Oklahoma, at age 41. Gilbert Eugene Mellies was born on 18 January 1938 at Hutchinson, Reno, Kansas. Gilbert Eugene Mellies died on 26 November 2000 at Oklahoma City, Oklahoma, at age 62. Married Name 25 October 1936 As of 25 October 1936,her married name was Schlickau. Lucille B. Raymond was born on 12 June 1915 at Kansas. She was the daughter of Gabriel F. Raymond and Minnie Stade. Lucille B. Raymond married Harry George Schlickau, son of Albert Rudolph Schlickau and Florence Elizabeth Wittorf, on 25 October 1936 at Haven, Reno, Kansas. Lucille B. Raymond died on 10 August 1998 at age 83. 1925 Haven, Reno, Kansas Lucille B. Raymond is listed as daughter on the census of 1925 in the household of Gabriel F. Raymond at Haven, Reno, Kansas. Lucille B. Raymond obtained US Social Security Card at Kansas; last residence Argonia, Sumner, Kansas. Name Variation Joseph Frank Knappenberger was also known as Joe F.
Joseph Frank Knappenberger was born on 23 August 1912 at Penalara, Kansas. He was the son of Jacob Ross Knappenberger and Winnetta Heaton. Joseph Frank Knappenberger married Opal Clara Kathryn Schlickau, daughter of Albert Rudolph Schlickau and Florence Elizabeth Wittorf, on 26 December 1935 at Akron, Ohio. Joseph Frank Knappenberger died on 29 January 1992 at age 79. Joseph Frank, DVM ws born 23 August 1912 in Penalosa, Kansas and died 29 January 1992 in Lenexa, Kansas. Dr. Knappenberger was a veterinarian and former president of Haver-Lockhart Laboratories. He married Opal Clara SCHLICKAU, daughter of Albert Schlickau and Florence Wittorf, on 26 December 1935 in Akron, Ohio. Dr. Joseph Knappenberger graduated from the Kansas State University College of Veterinary Medicine in 1935, establishing a family legacy which continues today. After earning his doctorate in veterinary medicine from K-State, Joseph joined a practice in Ohio but returned to Manhattan after only six months to take a College of Veterinary Medicine faculty teaching position. After one year, Dr. Knappenberger moved to Hutchinson where he set-up a general practice with his brother, Dr. Jack Knappenberger. Joe Knappenberger remained in Hutchinson until 1948, upon which he accepted a position with Ash Lockhart, which would move him and his family to Olathe. Joseph passed away in 1992 and is survived by his wife Opal and their four children: Dr. Tom E. Knappenberger (KSU DVM 1962), Mrs. Janice Kay Dunn (KSU 1964 Elementary Education), Mrs. Mary Jane Janssen (KSU 1970 Speech), and Don Knappenberger (KSU 1972 Pre-law). Opal established the Dr. Joseph F. and Opal S. Scholarship Endowment for the College of Veterinary Medicine in 1999. Joseph Frank Knappenberger obtained US Social Security Card at Kansas; last residence Olathe, Johnson, Kansas. Name Variation Jacob Ross Knappenberger was also known as Ross. Name Variation Jacob Ross Knappenberger was also known as J. Ross. Jacob Ross Knappenberger married Winnetta Heaton. Jacob Ross Knappenberger was born on 9 September 1886 at McDonough, Illinois. He died on 25 August 1965 at Olathe, Kansas, at age 78. Jacob "Ross" Knappenberger was born 9 September 1886 in McDonough County, Illinois and died 25 August 1965 in Olathe, Kansas. Ross married Clara "Winetta" HEATON, daughter of Joseph and Clara Heaton, on 11 October 1911 in Coats, Kansas. Winetta was born 3 March 1890 in Kansas and died 29 April 1936 in Kingman County, Kansas. This couple is buried in Lerado Cemetery, Reno County, Kansas. Jacob Ross was the twin of Roy C. Knappenberger and Clara was the sister of Mamie Fay Heaton who married Roy. Ross and Winetta had three children. Married Name Her married name was Knappenberger. Winnetta Heaton married Jacob Ross Knappenberger. Bertha Schlieckau was born on 4 July 1899 at Cheney, Sedgwick, Kansas, also reported as Wisconsin. She was the daughter of William Schlieckau and Catherine Anna Elling. Bertha Schlieckau died on 2 July 1900 at Wisconsin. [S245] U.S. Federal Census 1900 U.S. Federal Census, by Ancestry.com, ED258. Dwelling 21. Name Variation William August Paul Luetkens was also known as Powell. Name Variation William August Paul Luetkens was also known as Lutkens. Name Variation William August Paul Luetkens was also known as Luetkins. Name Variation William August Paul Luetkens was also known as Paul W.
William August Paul Luetkens was born on 3 January 1892 at Cheney, Sedgwick, Kansas. He was the son of John Henry Luetkens and Dorothea E. Thieding. William August Paul Luetkens was born on 6 October 1892 at Wisconsin. He married Elizabeth Inselmann between June 1917 and 1920. William August Paul Luetkens married Minnie L. Schlieckau, daughter of William Schlieckau and Catherine Anna Elling, between 1930 and 1933. William August Paul Luetkens married Lydia (?) before 1936. William August Paul Luetkens died on 21 April 1945 at age 53. He died on 21 April 1945 at age 53. William August Paul Luetkens lived in 1910 at Sauk, Wisconsin. On 5 June 1917 at World War I Draft Registration, Sauk, Wisconsin. He lived in 1930 at Sauk, Wisconsin. [S245] U.S. Federal Census 1900 U.S. Federal Census, by Ancestry.com, Year: 1900; Census Place: Westfield, Sauk, Wisconsin; Roll: T623_ 1817; Page: 7B; Enumeration District: 149. Ernest William Schultz was born on 24 November 1886 at Loganville, Sauk, Wisconsin. He married Amanda Elise Emily Schlieckau, daughter of William Schlieckau and Catherine Anna Elling, on 25 September 1921 at Loganville, Sauk, Wisconsin. Ernest William Schultz died on 17 September 1948 at age 61. [S250] U.S. Federal Census 1930 U.S. Federal Census, by Ancestry.com, ED56-38. Dwelling 4. Wilbert Schultz was born on 13 July 1920. He was the son of Ernest William Schultz and Amanda Elise Emily Schlieckau. Wilbert Schultz died before 2017. Norbert Schultz was born on 6 May 1926. Norbert Schultz died before 2017. Married Name 5 February 1949 As of 5 February 1949,her married name was Licht. Adeline D. Schultz was born on 29 March 1931. She was the daughter of Ernest William Schultz and Amanda Elise Emily Schlieckau. Adeline D. Schultz married Willard H. Licht, son of Herbert Licht and Hazel Klipp, on 5 February 1949. Adeline D. Schultz died on 30 December 2016 at age 85 Adeline D. Licht, age 85, of Reedsburg, died on Friday, December 30, 2016 at the Sauk County Health Care Center. She was born on March 29, 1931 to Ernest and Amanda (Schlieckau) Schultz. Adeline grew up on the home farm in the Township of Washington, Sauk County. She attended Tuckertown Grade School and Reedsburg High School. On February 5, 1949, she was married to Willard Licht. Together they farmed, fished and remodeled for 54 years. Willard preceded her in death on April 26, 2003. She was also preceded in death by her parents and two brothers: Wilbert and Norbert Schultz. Survivors include her daughters: Roberta (Harlan) Thieding, of Loganville; Marie Bryan, of Kanarra, UT; Janice (David) Towne, of Mount Pleasant, IA and Teresa (Rob) Tomaszewski, of Montello; 12 grandchildren and 21 great-grandchildren. Funeral services will be conducted at 11:00 A.M. on Friday, January 6, 2017 at St. Peter's Lutheran Church in Loganville with Pastor Donald Glanzer officiating. Burial will follow in the church cemetery. There will be a visitation from 4:00 P.M. to 7:00 P.M. on Thursday, January 5, 2016 at the Hoof Funeral Home in Reedsburg. In lieu of flowers, memorials to St. Peter's Lutheran Church or the Sauk County Health Care Center would be appreciated. The Hoof Funeral Home is serving the family. 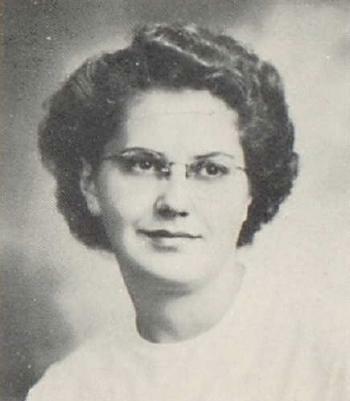 Adeline D. Schultz graduated in 1949 at Reedsburg High School, Reedsburg, Sauk, Wisconsin. Willard H. Licht was born on 24 June 1926. He was the son of Herbert Licht and Hazel Klipp. Willard H. Licht married Adeline D. Schultz, daughter of Ernest William Schultz and Amanda Elise Emily Schlieckau, on 5 February 1949. Willard H. Licht died on 26 April 2003 at age 76 Willard H. Licht, 76, Ironton, died peacefully at his home on Saturday morning, April 26, 2003, following a courageous battle with cancer. He was born on June 24, 1926, in the Township of Reedsburg, the son of Herbert and Hazel (nee Klipp) Licht. On Feb. 5, 1949, he married the former Adeline D. Schultz. During his lifetime he was a farmer, milk hauler and a truck driver. He was a member of St. Peter's Lutheran Church in Loganville. He is survived by his wife of 54 years, Adeline; four daughters, Roberta (Harlan) Thieding, Loganville, Marie (Gerald) Bryan, Kanarraville, Utah, Janice (David) Towne, Mount Pleasant, Iowa, and Teresa (Arlan) Putt, Baraboo; 12 grandchildren; eight great-grandchildren; a sister, Wilma Shannon, Richland Center; other relatives and friends. He was preceded in death by his parents and his brother-in-law, Myron Shannon. Funeral services will be conducted today, Wednesday, April 30, at 11 a.m. at St. Peter's Lutheran Church in Loganville with Pastor Amy Swanson officiating. Interment will be in St. Peter's Cemetery. The family received friends from 4 until 8 p.m. on Tuesday at the Hoof Funeral Home in Reedsburg. In lieu of flowers, memorials to St. Peter's Lutheran Church Redecorating Fund would be appreciated. The Hoof Funeral Home is serving the family. William Vogt was born on 1 May 1910. He married Hilda M. Schlieckau, daughter of William Schlieckau and Catherine Anna Elling, after April 1930. William Vogt died in September 1973 at age 63. William Vogt obtained US Social Security Card at Illinois; last residence not specified. Name Variation Johann Hinrich Elling was also known as John H.
Name Variation Johann Hinrich Elling was also known as Henry. Johann Hinrich Elling was born on 17 October 1843 at Gross Heins, Verden, Hanover, Germany. He was the son of Johann Harm Elling and Catharina Maria Leseberg. Johann Hinrich Elling married Anna Catherine Margaretha Dierks on 9 May 1870 at Kirch Linteln, Verden, Germany, also reported as 5 MAY 1871. Johann Hinrich Elling died on 17 September 1927 at Morton Township, Cheney, Sedgwick, Kansas, at age 83. John Henry Elling and Anna Catherine Margaretha Dierks Elling arrived in the United States 1880 at Defiance, Ohio. Moved to Haven in 1883 and then to Kendall, Kearney County, Ks in 1886. Returned to Haven in 1890 and lived the remaining years in the Haven area. Grandmother (Dora) remembered living in a sod house in Kearney County. Dora, her parents and siblings Sophia, Heinrich, Maria, Catherine, and Herman, born in Germany were listed in "Germans to America" as arriving on the "Main" from Bremen to New York, March 27, 1880. Johann Hinrich Elling and Anna Catherine Margaretha Dierks immigrated on 27 March 1880 John (Heinrich) Henry Elling, Sr., wife Anna Catharine (Dierks) Elling and six children sailed from Bremen, Germany on the ship S.S. Main to the US and landed in New York, March 27, 1880. [S246] U.S. Federal Census 1880 U.S. Federal Census, by Ancestry.com, NA Film Number T9-1012 Page Number 251D. Name Variation Anna Catherine Margaretha Dierks was also known as Ann. Married Name 9 May 1870 As of 9 May 1870,her married name was Elling. Anna Catherine Margaretha Dierks was born on 3 October 1845 at Odewege, Hanover, Germany. She married Johann Hinrich Elling, son of Johann Harm Elling and Catharina Maria Leseberg, on 9 May 1870 at Kirch Linteln, Verden, Germany, also reported as 5 MAY 1871. Anna Catherine Margaretha Dierks died on 14 August 1926 at age 80. Anna Catherine Margaretha Dierks and Johann Hinrich Elling immigrated on 27 March 1880 John (Heinrich) Henry Elling, Sr., wife Anna Catharine (Dierks) Elling and six children sailed from Bremen, Germany on the ship S.S. Main to the US and landed in New York, March 27, 1880. Name Variation Johann Christoft Hamburg Sr. was also known as John. Johann Christoft Hamburg Sr. was born on 19 November 1815 at Hanover, Germany. He married Elizabeth (?) before 1852. Johann Christoft Hamburg Sr. died on 17 January 1882 at age 66. [S247] U.S. Federal Census 1870 U.S. Federal Census, by Ancestry.com, Stamp 299. Page 31. Dwelling 238. [S246] U.S. Federal Census 1880 U.S. Federal Census, by Ancestry.com, NA Film Number T9-1446 Page Number 281B. Name Variation August Hamburg was also known as Aug.
August Hamburg was born on 28 July 1852 at Hanover, Germany. He was the son of Johann Christoft Hamburg Sr. and Elizabeth (?). August Hamburg married Johanna Kolba, daughter of (?) Kolba, circa 1875. August Hamburg died on 5 October 1933 at age 81. [S246] U.S. Federal Census 1880 U.S. Federal Census, by Ancestry.com, NA Film Number T9-1446 Page Number 277A. [S245] U.S. Federal Census 1900 U.S. Federal Census, by Ancestry.com, ED149. Dwelling 55. [S364] Wisconsin State Census Wisconsin State Censuses, 1895 and 1905, by Ancestry.com, Dwelling 60. [S244] U.S. Federal Census 1910 U.S. Federal Census, by Ancestry.com, ED115. Dwelling 8. [S243] U.S. Federal Census 1920 U.S. Federal Census, by Ancestry.com, ED164. Dwelling 65. [S250] U.S. Federal Census 1930 U.S. Federal Census, by Ancestry.com, ED30. Dwelling 403. Name Variation Carl F. Geffert was also known as Giffert. Name Variation Carl F. Geffert was also known as Charles. Carl F. Geffert was born in September 1870 at Sauk, Wisconsin. He was the son of Heinrich Geffert and Margaretha (?). Carl F. Geffert was the executor of Henry Schlieckau's estate on 24 December 1901 at Sauk, Wisconsin. Carl F. Geffert died in 1951. He was buried in 1951 at Saint Peter Lutheran Cemetery, Westfield, Sauk, Wisconsin. In Henry Schlieckau's will dated 23 February 1901 at Sauk, Wisconsin, Carl F. Geffert was named as executor. [S6] Wisconsin, Wisconsin Vital Record to 1907, Marriage Record ID: 2356449 vol 3 page 340. [S246] U.S. Federal Census 1880 U.S. Federal Census, by Ancestry.com, NA Film Number T9-1446 Page Number 286D. [S245] U.S. Federal Census 1900 U.S. Federal Census, by Ancestry.com, ED149. Dwelling 10. [S244] U.S. Federal Census 1910 U.S. Federal Census, by Ancestry.com, ED130. Dwelling 85. [S243] U.S. Federal Census 1920 U.S. Federal Census, by Ancestry.com, ED171. Dwelling 222. [S250] U.S. Federal Census 1930 U.S. Federal Census, by Ancestry.com, ED56-22. Dwelling 69.